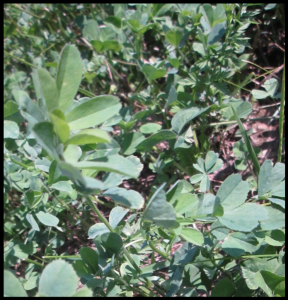 Four important keys to successful alfalfa production in Ohio and the surrounding area are field selection, fertility management, harvest management and genetics. When wise decisions are made in each of these areas, higher levels of production, longer stand-life and better quality can be achieved in your alfalfa fields. 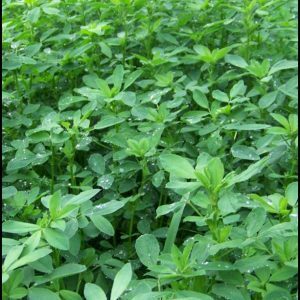 It has long been understood that alfalfa prefers fertile, well-drained soils. In recent years, the branch-root trait–which is expressed by an increase in the number of lateral roots—has allowed alfalfa production on soils with a higher water table than before. Even so, selecting a field with at least moderate to good drainage is essential for successful long-term alfalfa production. 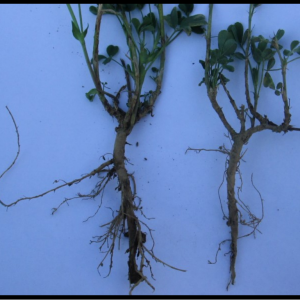 Like other legumes, alfalfa has a mutualistic relationship with Rhizobium bacteria that colonize on the roots capturing nitrogen from the air, which benefits the plant, in exchange for sugar exudates from the plant. Saturated soils and compaction can reduce or eliminate these bacteria curtailing production, reducing forage protein content and negatively impacting plant health. Therefore, it is best to select fields with adequate drainage and minimal compaction or to improve the drainage and break-up compacted areas before attempting to establish alfalfa. 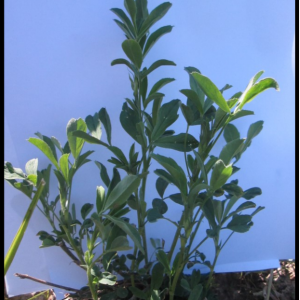 In addition to air and water movement in the soil, nutrient availability is necessary to support high levels of alfalfa production. Calcium, Phosphorous, Potassium and Sulfur are the macro nutrients needed to support tonnage. Adequate calcium in the soil helps prevent compaction, balance pH and enhance water and air movement. Phosphorous is integral to capturing and transporting energy for growth and building reserves for regrowth. Potassium, especially when paired with sulfur, is a powerful catalyst impacting growth and tonnage. These ‘major’ nutrients are typically evaluated and addressed in the soil; however, consideration of the plant availability should be given to ensure effectiveness. 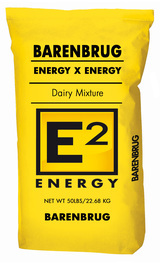 While there is no substitute for having adequate levels of these nutrients in the soil, our Agri-Energy Alfalfa Fertility Program efficiently and cost-effectively stimulates uptake and balancing of existing nutrients while providing equally necessary micronutrients. Yield increases of 25%, forage quality improvement of over 30 points in Relative Feed Quality along with substantial increases in vitamin levels and a more balanced mineral profile have been documented 2 to 3 weeks after a single program application compared to a control strip. 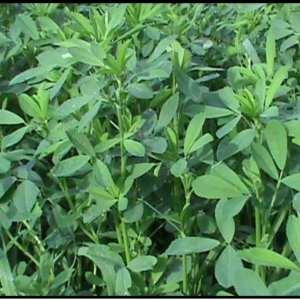 Alfalfa fields with balanced nutrition (based on sap analysis) are typically observed to exhibit less insect and disease pressure than neighboring fields. The bottom line is that alfalfa has significant potential for yield and forage quality that can only be achieved when the crop has both the micro and macro nutrients, in available form, it needs to sustain production. While our best plans are often altered by the weather, alfalfa should normally be harvested every 28-35 days beginning when the first cutting has matured to the pre-bloom stage. A final harvest can be taken after the crop has gone dormant in fall, but at least 3 to 4 weeks of regrowth should be allowed between a late summer harvest and an anticipated killing frost to build winter reserves. In straight stands of alfalfa, harvest can be made just above the top of the crown. In mixed stands with grasses, the crop should not be cut below 3 to 4 inches to prevent damage to the grass plants. Avoiding mechanical or animal harvest during periods of excessive soil moisture can help prevent soil compaction and crown damage which shorten stand longevity. Thoughtful harvest management is important to both maximizing annual production and preserving the life of an alfalfa stand. 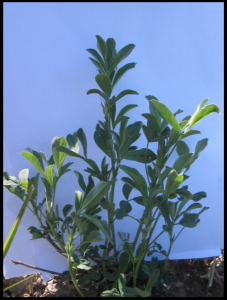 Finally, variety and genetics have can have a significant impact on the success of an alfalfa seeding. A few farmers claim that they get just as good hay out of their favorite old public variety as any of these new, expensive ones. If attention has not been paid to any of the previously discussed keys, they may be right! However, most modern alfalfa producers realize that to maximize the production of high quality alfalfa, one needs strong genetics. Yield potential and disease resistance are perhaps the two primary areas of focus when selecting a variety. Currently, improved alfalfa varieties are primarily developed by a small handful of companies in North America and then made available through multiple marketing channels. The result is very few varieties on the market without competitive yield potential, the possible exception being early generation varieties with new traits. Selecting a variety with adequate resistance to the diseases normally affecting your area is perhaps the most important thing to focus on. Companies that market alfalfa seed tend to draw your focus to variety ‘traits’. Traits often increase the cost and may or may not have a benefit on your farm. As discussed previously, the branch-root trait has been very beneficial in areas with wetter, moderately drained soils. Some traits simply mask deficiencies that would be better addressed with plant nutrition or crop rotation. A final important point to consider in variety selection is the plant characteristics—leafiness and stem fineness. While most newer varieties have been selected for these, beware of older or discounted varieties with coarse plant characteristics. In summary, seeding a variety proven to perform well in your area , such as our FSM Brand varieties, in a field with adequate drainage and soil fertility and then providing the crop with a balanced nutrient program, like our Agri-Energy Alfalfa Fertility Program, and harvesting as much as possible on a proper schedule will result in maximum yields of very good quality alfalfa forage. 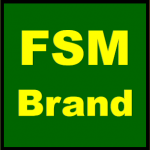 Your local FSM dealer is available to assist you with questions you may have regarding any aspect of alfalfa production.